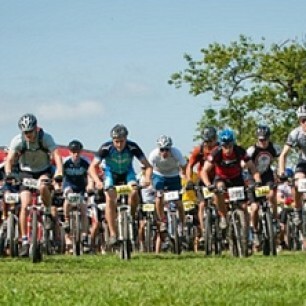 Chicago Cyclists, Check Out Chicago Area Mountain Bikers 2013 Palos Meltdown July 21st! Chicago area cyclists, get your ride on this Sunday at the Palos Meltdown hosted by CAMBr, Chicago Area Mount Bikers. On line registration is now closed but you can register at the race itself on Sunday. Details on start times for each age group here. Race Cost: $40 Race Day Registration, On Site at CAMBr Registration Tent. Cash or check ONLY. NOTE: Registration closes 45 minutes prior to the start time of each race. 7th Annual Palos Meltdown Hosts 2013 Midwest Regional XC Championships! Race details from the CAMBr website: The Palos Meltdown is Chicagoland’s premier mountain bike event. With racing for all ages and abilities this event draws riders from all over the region. In it’s fifth consecutive year, the Meltdown is held as a fundraiser for CAMBr to help build and maintain mountain bike trails in Chicagoland. The race is held on Palos Forest Preserve’s extensive singletrack trail system just half an hour outside of Chicago. The trails are flowy, fun and built with all levels of rider in mind. The event strives to keep a fun family atmosphere while providing a both challenging and fun race experience for first timers to the seasoned elite athlete. For 2013 we have changes planned to help further raise the level of fun and racing excitement! 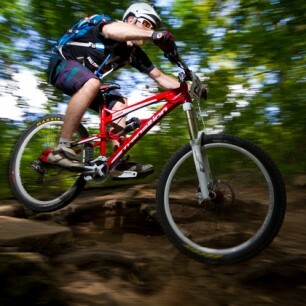 From CAMBr website: Snaking, fast and flowy singletrack is what Palos is known for. The course will meander itself over rolling hills and around lakes and sloughs. Much of the course is on rolling terrain so riders looking for elevation change won’t be disappointed! The course will offer leg stinging climbs and exciting descents. The trails are built for all levels of riding ability. Faster riders will find them much more challenging as obstacles such as ravines and roots become a challenge at speed.